I love taking a vacation with the family every year. With all of the kids either graduated from or in college, it&apos;s hard to get us all together so we take summer vacation plans very seriously. 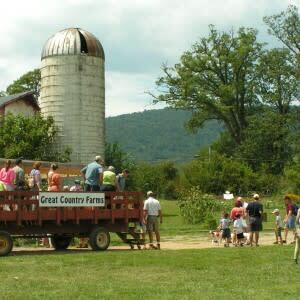 Start the weekend off with a trip to Great Country Farms to pick your own seasonal fruits and veggies, take a hayride through the field or see animals play. Refresh your body with a stay in your favorite Loudoun hotel and then refresh your mind by taking historical tours with the family to Morven Park, Oatlands Historic House & Gardens and The Marshall House. Grab dinner in historic Downtown Leesburg before testing your skills and teamwork at Exit Plan. Then, fill your day with a bit of adventure at Empower Adventures while flying through the trees on a zipline. While I love spending time with my family, there is also something to be said about a trip with your favorite girlfriends just to getaway, relax and spend some quality time together. The whole point of a vacation is to relax, duh! So, of course, I recommend getting the squad all checked in at the resort like Salamander Resort & Spa and getting that massage you have all been craving. 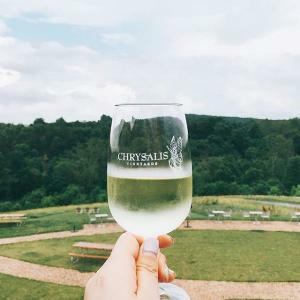 After enjoying dinner in the culinary garden and getting that beauty sleep, spend the next day enjoying the Middleburg wineries like Chrysalis Vineyards, 50 West Vineyards, Cana Winery & Vineyards and many more. You have to have a whole day dedicated to over-stuffing your suitcase after shopping at the Leesburg Corner Premium Outlets or unique boutique shops in Downtown Leesburg and Middleburg. For more ideas, check out this pre-built itinerary! Now I can&apos;t say that I&apos;ve ever experienced a guys weekend considering I&apos;m not a guy, I&apos;m sure that it&apos;s the similar feelings that I get hanging out with my friends. It&apos;s always an adventure when good friends get together and just have fun. I&apos;ve done my research with my guy friends, colleagues and family members and here are some recommendations for your next guys trip. Beer, right? The LoCo Ale Trail has over 20 breweries for you and your friends to enjoy. Try really unique, small-batch brews at Adroit Theory Brewing Company or check out the newest brewery to hit the trail Solace Brewing Company. 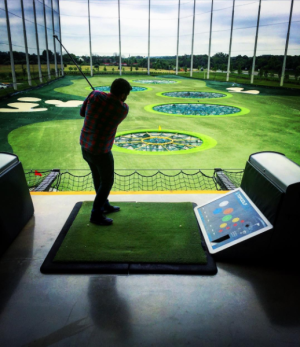 Once you&apos;ve tried some brews, make sure to fill your stomach by checking out the delicious restaurants in One Loudoun and head over for some nighttime competition at TopGolf. After a good night of sleep, keep the friendly competition going when you check out one of Loudoun&apos;s newest attractions, Autobahn Indoor Speedway, where you can put the pedal to the medal at Loudoun&apos;s largest completely indoor karting facility. Taking a vacation with a group is always something memorable, but there is also something to be said for a getaway for two. Loudoun is the perfect place for a romantic vacation with the one who holds your heart. Your other half will feel the romance all weekend long as soon as you check into Lansdowne Resort & Spa. It&apos;s the perfect location to relax before dinner at their restaurant Coton & Rye. 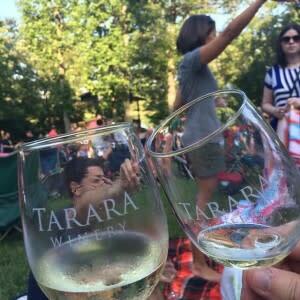 After a night of rest and relaxation, find your vine your favorite Loudoun wineries. There are over 40 to choose from! After a day of wine and vines, head to the Villages at Leesburg to enjoy dinner at The Conche, a new chocolate restaurant featuring deliciously sweet cocktails. A romantic getaway is nothing without a delicious brunch. Check out our favorite Loudoun Brunch Spots here!